We fully understand that nuclear safety regulation has a significant impact on the communities around us and therefore strive to be recognized as a regulator that makes a positive difference in the lives of the people living in the communities around us. The NNR’s Corporate Social Responsibility (CSR) efforts are aligned toward themes that have relevance to the regulator and its fields of competency. However, at the heart of NNR’s CSR activities in the local affected communities is the volunteerism by our employees. Having a formal Corporate Social Responsibility strategy fits logically into our pursuit of becoming “ a world-class nuclear safety regulator’’ and will become a natural part of our corporate planning and performance management framework. It acts as an organisational ‘’conscience’’ and barometer of how we are delivering on our corporate objectives whilst balancing environmental, social and ethical issues. 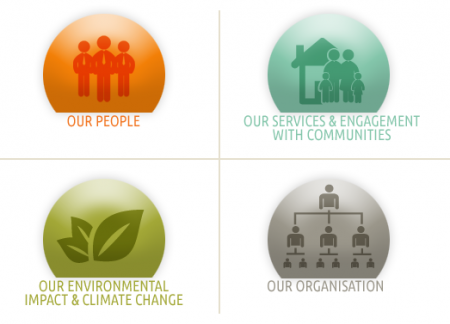 This strategy describes our unequivocal commitment to CSR and outlines our aims for the coming years. I am a firm believer that operating responsibly is essential to delivering effective nuclear safety regulation. We have a responsibility to safe and healthy conditions for workers, empowering the local communities in which we operate and working to reduce our negative impact on the environment. To promote meaningful participation of women in the fields of nuclear energy by creating a national forum and network for women to foster an environment conducive to advancing the empowerment of women in the relevant fields. To interact with the members of the public and educate them on basic radiation protection principles. The South African Young Nuclear Professional Society (SAYNPS) is an organisation of the youth committed to the ideals of environmentally friendly, peaceful and safety usage of Nuclear/Radiation Science and Technology. It encourages youth to participate in nuclear/radiation activities through studying, conducting research and publications of research papers in both national and international boundaries. SAYNPS memberships play an important role in these campaigns through exhibitions and presentations by educating the public in general about the safe use of nuclear technology. School outreach programmes are used to teach science teachers and school children about the generation of energy through nuclear technology. NNR is supportive and participates jointly in some of the SAYNPS initiatives. The Department of Education, in partnership with UNICEF and Uweso Consulting, piloted the Techno Girl programme in Limpopo, Eastern Cape and KwaZulu‐Natal provinces. Since 2009 the programme has been expanded to include a further five provinces. As a consequence of the Techno Girl programme, girls now have an opportunity to gain first hand insight into the buzz and excitement of the world of work. Techno Girl originated as an offshoot of the Girl Education Movement (GEM) which creates a pool of girls nationally who are empowered to make positive decisions that affect their lives and are given skills, confidence and power to positively transform their own lives by claiming their rights. Techno Girl aims to provide girls with access to the world of work to enable them to take up scarce careers required by the economy. The programme maintains an exclusive focus on careers in the STEM fields. During their tenure at organisations during the school holidays, the girls are exposed to various career paths and options through job shadowing of role models. The Department of Energy is facilitating the career guidance programme known as the Learners Focus Week in Energy. The shortage of skills in the technical skills requires the ongoing intervention by government and its stakeholders to promote skills development. amongst the youth. The Learners Focus Week is a national programme which targets learners who are studying mathematics and science at high school level with the aim to encourage learners to take up technical subjects such as engineering at University or at Further Education and Training centres.